At any point in your life, getting a divorce can have significant repercussions for the remainder of your life especially your finances. More couples are calling it quits as they get closer to moving into retirement, known as gray divorce. They may have gone through the process of raising children and then decide that they no longer want to be married. When facing retirement, which could mean up to another 30 years in the second season of their lives, some couples decide they would rather spend it on their own. But retirement is often envisioned many years before as a life stage where a couple finally gets to spend time together. This parting of ways trend has led to an increase in divorce for people who are aged 50 or older known as gray divorce. In fact, it has roughly doubled since the 1990s and the divorce rate has tripled since 1990 for those individuals aged 65 and older. This can endanger retirement savings for both parties since they may be living on half the income they had anticipated over the course of their life. Whatever money is inside individual retirement accounts, 401(k) plans, 403(b) accounts and pensions will typically need to be divided and this will come with an additional expense for legal costs. Consulting with an experienced attorney is one of the best ways to avoid these negative consequences and to understand the many ways that a gray divorce can affect your life. An estate planning revision may also be necessary after a divorce in this age. Divorce can be a messy affair for couples of any age, but as a book published by the American Bar Association a few years ago points out, a break-up can be all the more complicated when it involves older people. 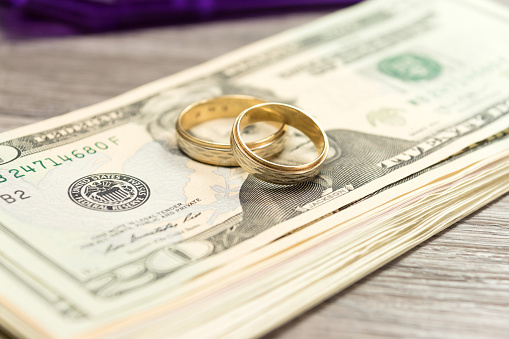 “Divorce in the Golden Years: Estate Planning, Spousal Support, and Retirement Issues for Clients at Midlife and Beyond,” written by Leslie Ann Shaner, covers the topic nicely. In the introduction to the book, Shaner, an attorney in Richmond, Va., points out that there are some very real challenges to handling such divorce cases.